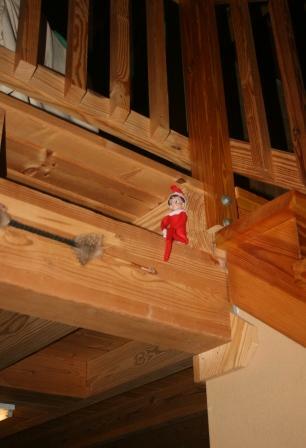 Our elf, Nicholas, should arrive this coming weekend! Isn't this a fun tradition?! The kids look forward to seeing where he is each morning. Don't you love traditions you carry out every year? It makes things so much more memorable! JDaniel is having his moments too. He seems to like see what I will do. 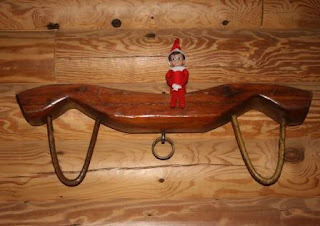 The elf is so cute. I'd heard of the Elf on the Shelf before but hadn't realized they move around the house - it sounds like an adorable tradition! Oh the parents reported back that their children just loved their personalized letters from Santa. I used to have over 30 children I wrote to every year.. The children all grew up and I didn't add any new ones.. Everyone tells me I should write a children's book about Elf Herbie's travels and what is happening at the North pole.. Your posts always make me laugh! 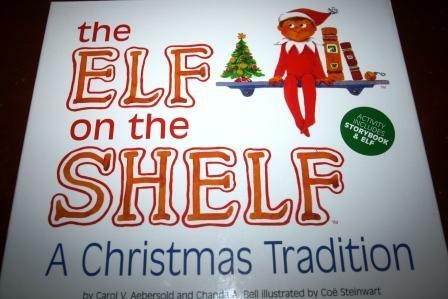 I always wondered what The Elf on the Shelf is all about. That's a great idea!! We will have to look in to getting our own elf!! Great tradition. Very cute too.